"As a prescription wearer I look very much forward be able to benefit from the expertise of Wiley X and I’m confident Wiley X will be able to provide me with prescription eyewear that will give me an extra edge when competing. I enjoy hunting and I often find peace and strength being out in nature. 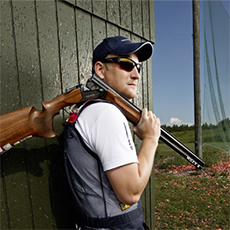 Being a young hunter I will try to influence all hunters as well as all clay shooters to wear eye protection. Unfortunately, I have witnessed more than once, how close you can get to losing your eyesight when you are not wearing the right eye protection. By teaming up with Wiley X I have found the perfect partner – for both my professional career as well as when I’m hunting." 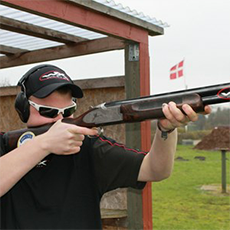 "For me safety is everything - by teaming up with Wiley X I feel 100% comfortable knowing that my eyes will be well protected in the competitions I attend now as well as in the future. 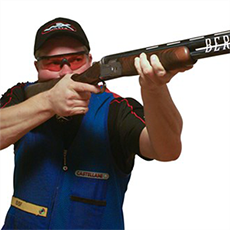 For many of the older shooters the safety aspect has never been something they considered. Some of them have paid the price for this and I don’t want to be another number in this statistics." 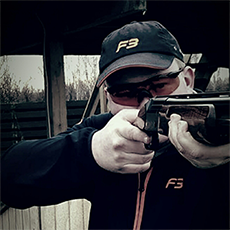 "I have chosen to use and wear Wiley X eyewear – due to the high level of protection all Wiley X eyewear holds. 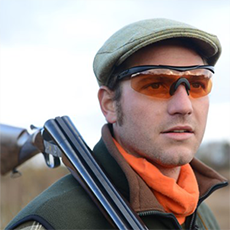 They are fantastic shooting eyewear – and the level of protection is much higher than competing eyewear on the market. 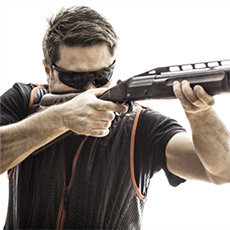 In combination with the intelligent changeable lens technology and the different lens color choices – Wiley X is no less than perfect for me, when I go hunting, clay shooting or when I fire the fireworks at New Year’s Eve." I have chosen to wear Wiley X glasses as they have a great design, perfect fit and a magnificent view all across the lens. But most importantly I wear them because it is vital to have safety eyewear of considerable quality, which I can rely on, if I should be hit by a stray pellet either on the shooting range or when hunting. Alberto Rizzini Professional hunter and Fishing Guide, member of P.H.A.S.A. "I have worn prescription glasses since I was 12 years of age. Being a professional hunter, (member of P.H.A.S.A.) and also a professional Pike Fishing Guide (member of Reaction Strike Pro Team) I need perfect vision as it’s one of my most important senses. Without perfect vision I could not determine the distance of a stalked deer or see the fish moving in the water. For this I must use my instinct together with my sight and experience. Having to wear prescription glasses 24/7 I need the best. Having used Wiley X for the past few years I have determined that they offer the best protection on the market together with optimized vision. - Protecting my eyes from sun rise to sun set."